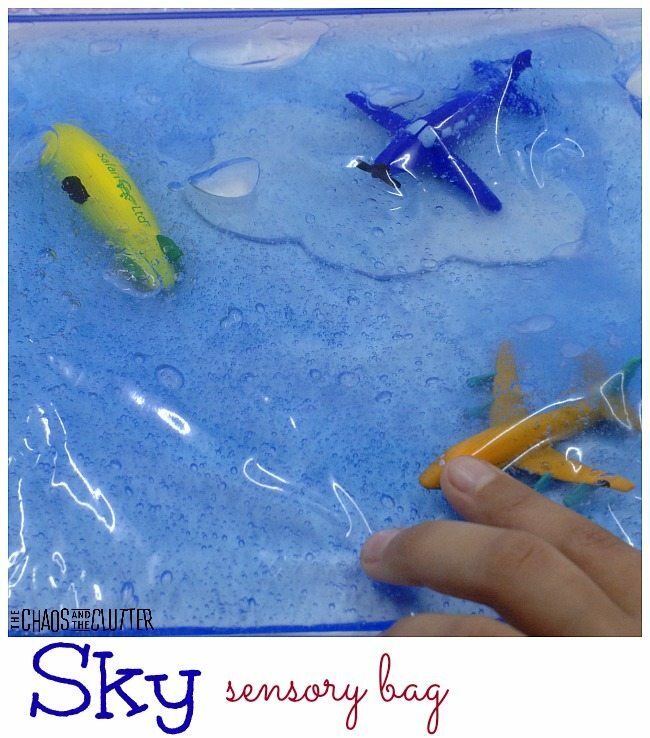 This squishy sky sensory bag is simple to make and you only need a few materials. 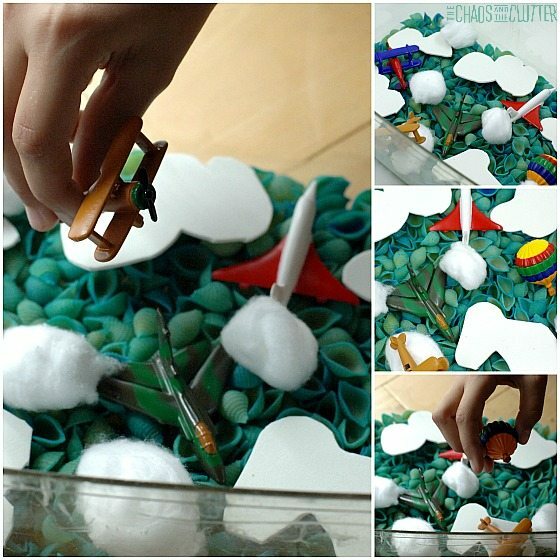 Depending on the age of your child, they can even help cut out the clouds to make the sensory bag. Using scissors, cut some cloud shapes out of the white foam sheet. If you are having your child help you with this step, you can lightly sketch the outline of a cloud with pencil and have them cut along the outline. Place the foam clouds inside a resealable bag. Add a few items from the In the Sky toob and squeeze some blue hair gel or body wash into the bag. Remove excess air from the bag and seal. I prefer to use a good quality freezer bag rather than a sandwich bag for sensory bags because they are more durable and I prefer the size as well. 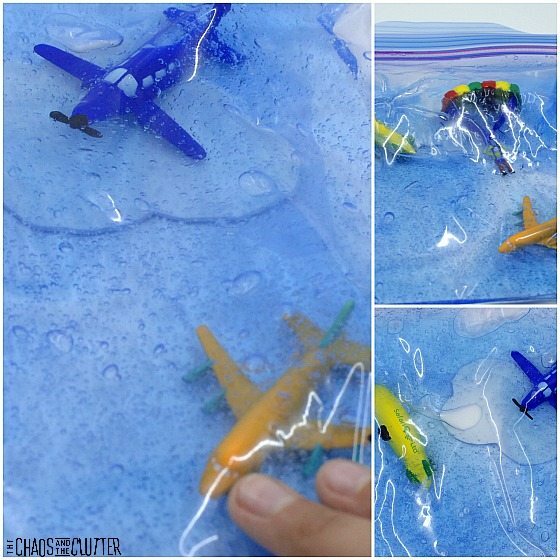 If you’re using these sky sensory bags with younger children, you can secure the opening of the bag by folding strong clear packing tape or duct tape over the top of the bag. 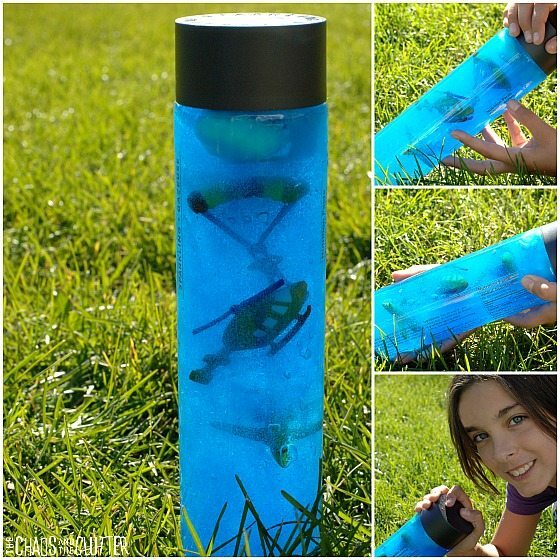 You can also do this to all sides of the bag for extra durability. I used the same In the Sky toob to make a Sky Sensory Bottle and a Sky Sensory Bin. All of these were perfect during our Flight Unit in homeschooling.